Do you want to optimize your blog posts for search engines? Your posts could have the potential to rank on page 1 of Google, but that won’t happen unless Google knows what keywords your post should rank for. In this article, we’ll share our on-page SEO checklist that we use to fully optimize our posts so they come up in the search results. Exclusive Bonus: Download the OnPage SEO Checklist to fully optimize your posts and get more website traffic! Off-page SEO is the stuff you do to improve your rankings off-site, like backlinks and social media shares. These are the signals that Google uses to determine your site’s authority and how high you will rank in the results. However, unless you optimize your posts on-page, Google won’t know what keywords you should be ranking for, and you won’t show up in the search results. On-page SEO is all of the stuff you do to tell Google what your post is about and what search terms it should come up for. There are also some things you can do on-page that can help you to rank higher for those terms by reducing your bounce rate, increasing your click through rate, increasing your dwell time, etc. First, you’ll need to do some initial setup to your site prior to optimizing your individual posts and pages. You only need to complete these steps once and then you’re good to go. Every website should have a Google Analytics account installed in order to monitor and fine-tune your SEO efforts. With Google Analytics, you will be able to collect visitor data from your website and use that data to create reports which will give you insight into how people use your website and how you can improve your SEO. You can track how much search traffic you are getting as opposed to direct or referral traffic, you can monitor your bounce rate (which affects your rankings), and you can determine whether your on-page SEO efforts have been effective at increasing your organic traffic. 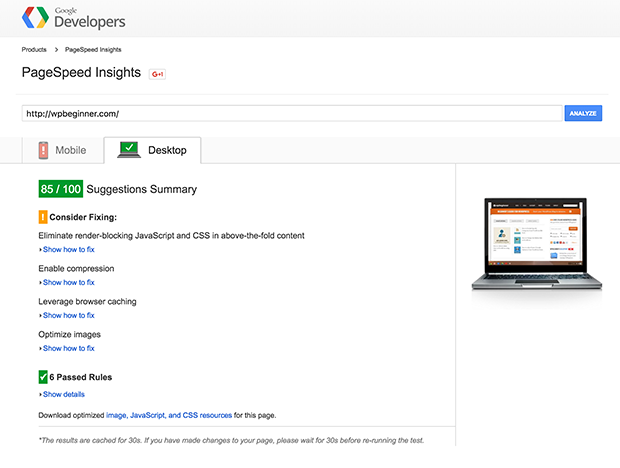 While Google Analytics gives you a picture of how visitors are using your site, Google Search Console (previously “Google Webmaster Tools”) is meant to show you how your website is seen by search engines. Every website should install this tool. You can see crawling information, how many searches returned pages from your site, how many pages are coming up in the search results, how many searches resulted in a click-through, your average search position, and much more. You can also use it to submit a sitemap and create a robots.txt file, which help with SEO. You can even use it to find and fix errors that can have an adverse effect on your SEO. If you have a WordPress site, there is an easy way to connect it to your Google Analytics account. All you have to do is install the Google Analytics by MonsterInsights plugin and follow the instructions here. Yoast SEO is a WordPress plugin that has an enormous amount of features for on-page SEO. It is a must-have for any WordPress site. An XML sitemap is a list of all the user-accessible pages on your website, and it is used to tell search engines about the pages on your site that you want them to index. It also tells search engines which links on your website are more important than others, and how frequently you update your site. Sitemaps don’t affect your search rankings, however they are important for SEO because they ensure that all of the pages on your site can be indexed properly. Robots.txt is a text file which allows you to give specific instructions to web crawling bots. You can use it to tell search engines which pages you want them to index, and which you want them to ignore. Additionally, this is where search engines will look for your XML sitemap (unless you have specified it in Google Search Console). Rich snippets allow you to give search engines information additional information that you would like to appear in the search results. This makes your listing more noticeable in the results and can increase your click through rate, which improves your search rankings. The easiest way for WordPress users to install rich snippets is with the All In One Schema.org Rich Snippets plugin. Google Keyword Planner is a free tool to help you find keywords that you would like your post to rank for. 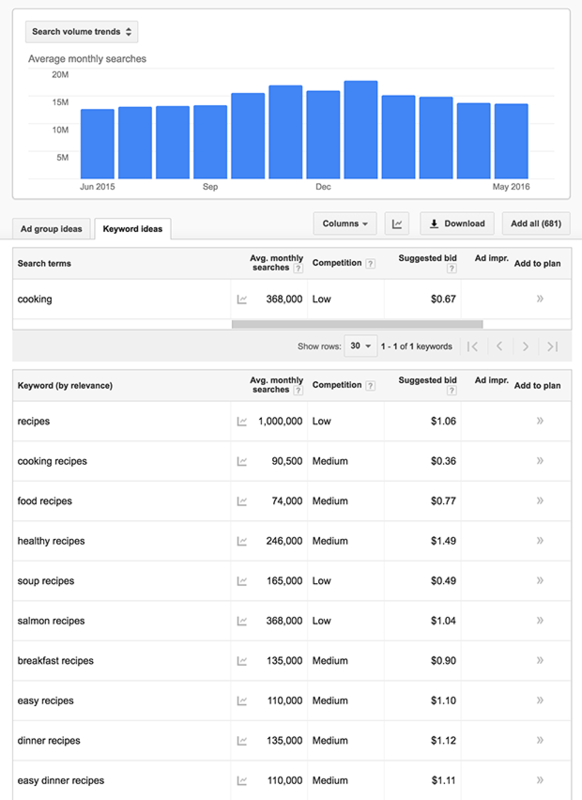 You can see how many monthly searches there are for any given keyword, how high or low the competition is for that keyword, and it can even suggest keywords for you based on your topic so you can choose the best ones to target. You’ll need to have a Google AdWords account (free) to use the Google Keyword Planner tool. Make sure your URLs are SEO-friendly. In general, if your URLs are easy for people to read, they will also be preferred by search engines. Match the URL to the title of your blog post wherever possible, and make sure your URLs aren’t overly long (100 characters or more is probably too much). Make sure your URL includes the keyword you want to target. If your blog post name includes your keyword, then this part is probably already taken care of because the title is usually wrapped in H1 tags. Google looks at how early your keyword appears in your post, so make sure to include it at least once in the first paragraph. Subhead tags are tags like H2 and H3. Include your keyword at least once in one of these subheads. Without “stuffing” your keyword, include it several times within the body of your post. This should happen naturally as a part of the flow of your article. You can use these as ideas for alternate ways that you can phrase your keyword within your post copy. Again, don’t stuff these: just use them naturally in your writing. Your bounce rate (the percentage of visitors who navigate away from your site after viewing only one page) is an important SEO ranking factor that Google looks at in determining how high you rank in the search results. To minimize your bounce rate, include internal links early on in your post. The other reason you should include internal links in your article is because interconnecting your posts will help search engines to crawl and understand your content. Make sure you are including at least 3-4 links to previously published blog posts each time you publish a new one. You should also include outbound links in your post when citing your sources. This helps give your content more credibility. Just make sure that your outbound links are going to high authority sites that are relevant to your content. For example, if your post is about animals, you could link to a high authority animal related site like Animal Planet. Not only is proper spelling and grammar important for the readability of your post, but search engines care about it too (and you’ll get penalized for writing errors). 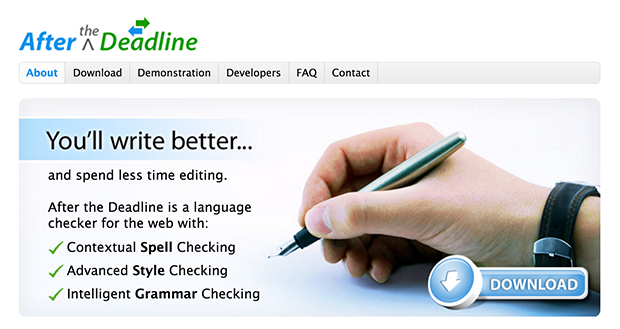 You can use a WordPress plugin like TinyMCE Spellcheck to add a spellcheck button to the editor, so you can check it right within your WordPress edit screen. Or, you can use a browser extension like After the Deadline. Generally, the longer your content is, the higher it will rank in the search results. That’s probably because Google considers long-form content to be more valuable. The other affect of long-form content is that it can increase the amount of time that a visitor remains on your page before hitting the “back” button (dwell time). Dwell time is another factor that search engines use to determine how high you rank. This is perhaps the most important tip of all: make sure your content is high-quality. The more high-quality and useful your content is to real human beings, the easier it will be to rank your content. Remember, Google’s goal is to return the best search results. Make sure your post is better than all the other posts on your topic. Another factor that search engines use to determine your ranking is how much visitor are interacting with your content. That’s why it’s a good idea to use multimedia in your posts. 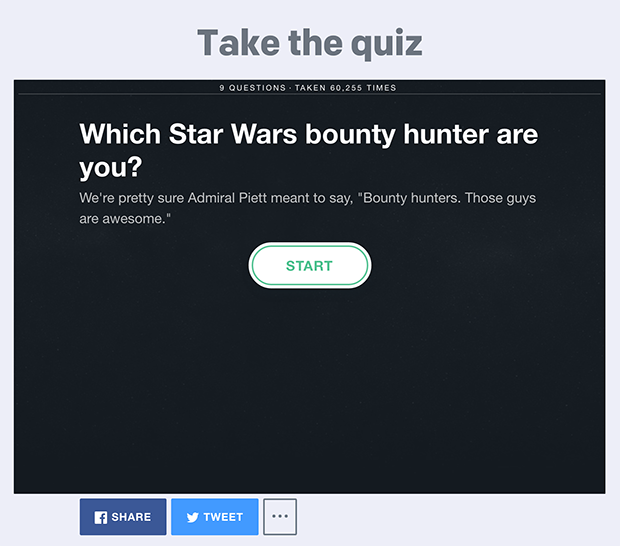 For example, you could create an interactive quiz and embed it in your blog post to encourage interaction (you can do this with a tool like Qzzr). Some other ways to incorporate multimedia include audio, video, and social media widgets. Another way to increase visitor interaction is to include comments and reviews. Also, respond to all the comments you receive! It will not only help to increase interaction, but it will also increase the length of your content at the same time. Page load speed is a big factor in SEO, so make sure any images you use are optimized for the web before you upload them. Always use descriptive alt tags in your image tags to describe what they are about and include your keyword when it makes sense to do so. 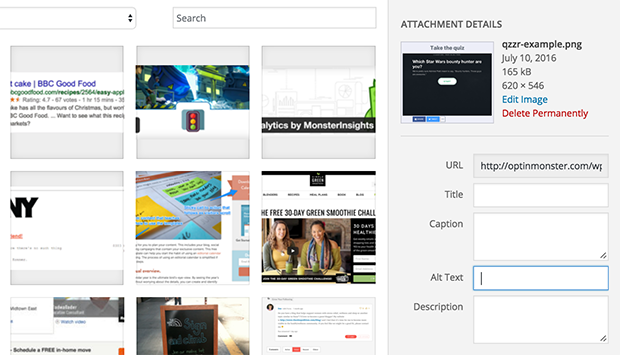 You can add Alt text in WordPress whenever you add a new image to your post from the Media Library. 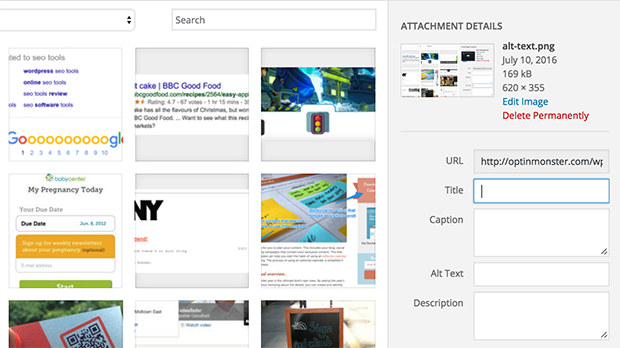 You should also include Title text inside your image tags and include your keyword when it makes sense to do so. You can add Title text just like you can add Alt text from inside the image attachment screen in WordPress. If you can, including your keyword at the beginning of your Title tag for your post (front-loading it) will help with SEO. More important than front-loading your Title tag is making your title sound enticing. The more people who click on your post compared to the other posts in the search results (the higher your click through rate), the higher your post will rank. Your title is critical: make sure it is enticing! Any longer and your title will get cut off in Google’s search results. Modifiers are words like “best”, “offers”, “buy”, “cheap” or “reviews”. Users tend to include these modifiers when searching for things, so they are great to use in your SEO titles and help to increase your click through rate. Make sure to write a meta description for your post, and make it enticing! Next to your title, this is the second most important part of increasing your click through rate. Any longer than that and your description will get cut off in the search results. Make sure you include your keyword at least once in the meta description. In both your SEO title and meta description, use power words to increase your click through rate. Power words are words that act as psychological triggers to entice people to take action. Some examples include “eye-opening”, “easy”, “effective” and “case study”. Here are 700+ more power words that you can use to boost your click through rate. There is something about numbers that people simply can’t resist. Which of these search results would you click on? The two with the numbers caught your eye better than the middle one, right? Using numbers in your SEO title and meta description can really help to increase your click through rates. Brian Dean uses a method he calls the “CTR Magnet Method”: he looks at Adwords ads that come up for his keyword to see the words and phrases that they use. Then he incorporates some of those into his SEO title and meta description. After all, they are paying for their ads, so they must have put a lot of thought and research into their copy! Now that you’ve fully optimized your post before publishing it, there are still a few things that you can do to boost your on-page SEO even more. Additionally, you’ll want to do a thorough SEO audit to make sure that you don’t have any errors that are having an adverse effect on your SEO. Google takes social shares very seriously when determining how high a post should rank. Although technically those shares don’t happen on your site, you can still optimize your page to encourage those shares by adding social sharing buttons. There are a lot of great free options for WordPress plugins that do this. However, my personal favorite is a premium plugin called Social Warfare. Your homepage has the most “SEO juice” to spread around to the rest of your site, so make use of it wisely. Your most important pages should be just one click away from your homepage: that way, they will also be given greater importance by the search engines. For example, instead of putting an important page several pages away from your homepage, like so: Homepage » Page 1 » Page 2 » Important Page, make sure it is only one page away, like so: Homepage » Important Page. As we mentioned earlier, your page load speed is very important for SEO. Do a check using Google Page Speed Insights to make sure your site is loading quickly and doesn’t have too many errors. You’ve already installed Google Search Console, so now let’s put it to good use! You’ll want to check for 404/500 errors, duplicate content, missing titles or any other technical errors. Browseo is a tool that allows you to view your website from the eyes of a search engine. All you have to do is enter your URL and click the “Browse” button. Check for errors like 302 redirects that should be 301 redirects, or any other technical errors. 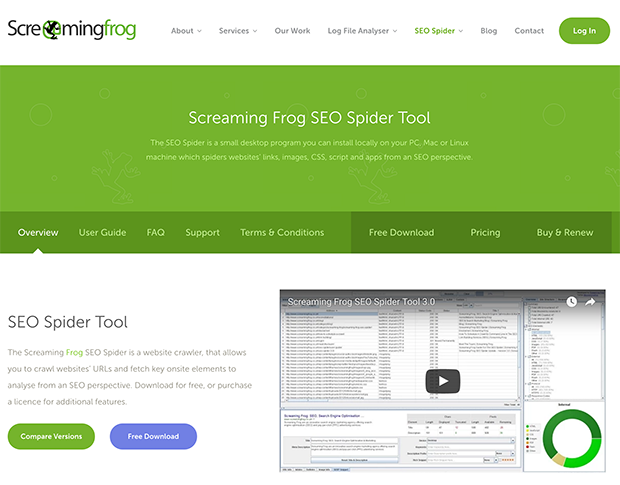 The Screaming Frog SEO Spider tool is a website crawler that allows you to find broken links, audit redirects, discover duplicate content, and any crawl problems. All you have to do is download the lite application for free to start using it. Now that so many people are using their mobile devices to browse the web, it is very important for SEO that your website is mobile responsive. If you aren’t sure whether the theme you are using is mobile responsive or not, you can use Google’s Mobile-Friendly Test to find out. In addition to being mobile responsive, your site should be working well across multiple browsers. 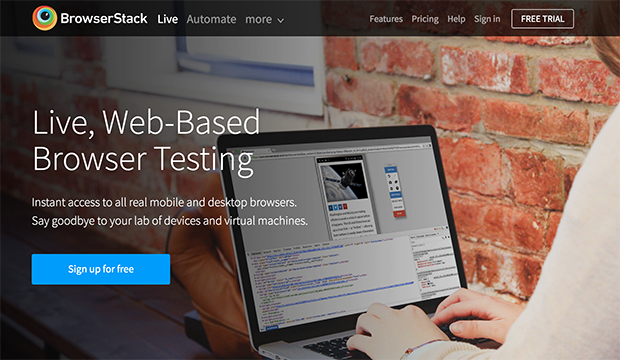 BrowserStack is a great premium tool that does a really thorough job of this. However, if you need a free alternative, you can use a free tool like Browserling. That’s it! If you’ve checked off the above steps, you have now fully optimized your posts for SEO. Now the search engines will know exactly what search terms your posts should come up for. Plus, you have eliminated any errors that could cause problems for search bots to index your site. As a final important note, remember that the absolute best thing that you can do for SEO is to optimize your posts for humans. Generally the more people-friendly your posts are, the more you will be rewarded by Google. Not only that, but pleasing people is what’s most important for your business. Always write your blog posts for people, while keeping the search engines in mind using the above tips. Are you stuck on any of the above steps? Let us know in the comments so we can lend you a helping hand! 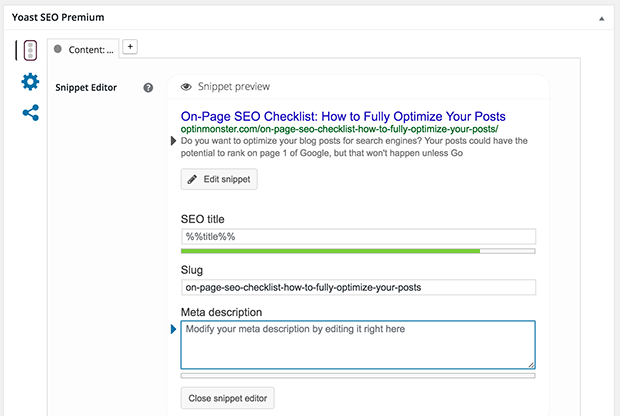 Exclusive Bonus: Download the OnPage SEO Checklist to fully optimize your posts. So glad you can get use out of this checklist again and again. 🙂 Thanks for the comment, Suzi! I have couple of questions . I will be thankful if you can answer them quickly. 1) say I am targeting a keyword through my blog . At the same time I can see people searched for some other terms whose meaning is similar to my main keyword. So you think it’s a good practise to include them in same blog or write a different blog to target them. 2) I have technical how to do article site , each blog of me contains atleast 5-6 images . I have around 40 articles right now and I am adding articles on regular basis. When I should go to the option of VPS for hosting ?? When I should go for option of buying a CDN like maxCDN?? 1) If two keywords mean the exact same thing then I think it makes more sense to target both in a single post. Each post you write should add new value to your blog, so you don’t want to just keep repeating the same information over and over again. However, if two keywords mean related but different things, and you can write two different blog posts targeting each keyword, then go for it! 2) I doubt that you need to switch to a VPS or buy a CDN right now. If you can afford it, then go for it, but if you are on a tight budget then I would stick with the shared hosting for now and use a free CDN for now like CloudFlare. It’s not as good as MaxCDN, but it should probably be good enough for you right now. Nice article and well documented. Please could we have a PDF checklist of this. Thank you. Now this is an awesomely comprehensive list! Thanks for putting it together Mary. Love the CTR market method- will do finitely have to try that in my next campaign. WOW….!!!! Covered all the aspect of SEO. Going to explore this blog more! I’d love to download the checklist but both links point to “#” and not to a PDF. This was a very comprehensive article and I will enjoy sharing it with my clients! Hey Lisa! The “#” link is correct, but it should still open a lightbox with the optin form… Is your browser using an ad blocker? I’ve bookmarked it for clients to refer to as it explains the scary and mysterious art of page-based SEO very clearly. When I start explaining it, their eyes glaze over! Really nice and informative post. It is really helpful for me to find out which factors are missing to improve my ranking. Hey Vrishna, I’m so glad you found this post useful! To answer your question: yes, content length and keyword density does matter. The longer your content is, the better. However, don’t overdo it with the keywords by “stuffing” them. Basically, if it makes sense to include a keyword then do so. Thanks for sharing these great techniques. Will definitely help in making a post perfect. Thanks a lot for sharing your knowledge and experience. But I think you missed describe about keyword stuffing and content length on your check list. However, covered all aspects of on page SEO. Thanks for share on-page SEO checklist to improve rankings. You focus all kinds of on-page factors definitively. It help to get rankings quickly and also drive huge traffic. Thanks again. On-Page SEO Checklist: How to Fully Optimize Your Posts – The newest addition to my RSS feed! ON Page Optimization is one of the most important SEO part for ranking your website on major search engines. You can also check http://www.seocompanyindelhi.org/ as they have optimized their on Page even if they have less content. They use Heading tags in proper sequence. Have a look on their website. This is really an informative and enjoyable article. There are different on page SEO techniques. All these issues are crucial for ranking better on search engines. On page SEO helps us different ways but the most important factors are it make our blog search engines and user-friendly. Thanks for sharing such a great article. First of all it is an excellent article no doubt it is excellent for beginners in this industry. It helped me alot to understand the basic concepts clearly. Again thanks a lot. I tried putting all this checlist in my website. If any suggestions please reply….. Thanks, Aliya. As a follow-up, you might find our guide to using keywords to improve SEO useful. 🙂 Please follow us on Twitter to keep up with our latest tutorials and guides. Hi Gin, the data shows that offering too many share buttons actually reduces the number of shares, so we tend to focus on the social media platforms where we get the best results. However, even without a button on our site, there are lots of ways to pin. Here are some of the pinning options Pinterest recommends. We’ve got a great article on growing your email list with Pinterest, too. You’ve very well covered all the aspects of on-page SEO. CTR magnet method was something new to me and thanks for pointing out to Brian’s video. It was another masterpiece. Glad you enjoyed the article, Shafi. 🙂 Our latest article on this topic covers social media and SEO – check it out!